How many times have we heard the statement that Manchester United haven't been good enough since Sir Alex Ferguson left the club? There is truth in this statement but all of that isn't down to the manager only as this fall from grace has been an accumulation of mistakes that keep on happening. These mistakes involved not backing the manager and getting him the player he wants. We saw this under David Moyes when he wanted the likes of Toni Kross and Gareth Bale in the transfer window but ended up getting Marouane Fellaini instead (no disrespect to the Belgian). Then when things seemed to go well under Louis Van Gaal, he was sacked after Manchester United won the FA Cup which really didn't make any sense and one his failed signings was Memphis Depay. Under Jose Mourinho, this transfer issue began to escalate as the Portuguese didn't really get the players he wanted. But that doesn't take away the fact that Mourinho wasn't bringing out the best from the players he had. 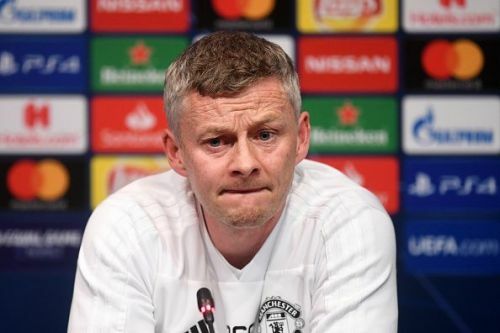 Now, Ole Gunnar Solskjaer has taken over Manchester United and after years the Premier League giants seem to play with a certain identity and if the board doesn't want another failed manager, they simply need to back him in the summer and get him the players he wants at the club. That said, in this slideshow, we take a look at the 5 players who were sold by the Red Devils in the post-Ferguson era who would have flourished under Solskjaer. Javier 'Chicharito' Hernandez was soled by Manchester United in the Van Gaal-era and at that time, United were short on strikers. Hernandez clearly wasn't preferred by the Dutch boss and he was offloaded to Bayer Leverkusen for whom he started banging goals left, right and centre. The Mexican would have been a backup striker if he would have played under Solskjaer but someone of his quality coming on from the bench could have really made a difference in certain games. To be honest, Hernandez suits Solskjaer's style of play more than Romelu Lukaku and the former really would have been a menace under the Norwegian.